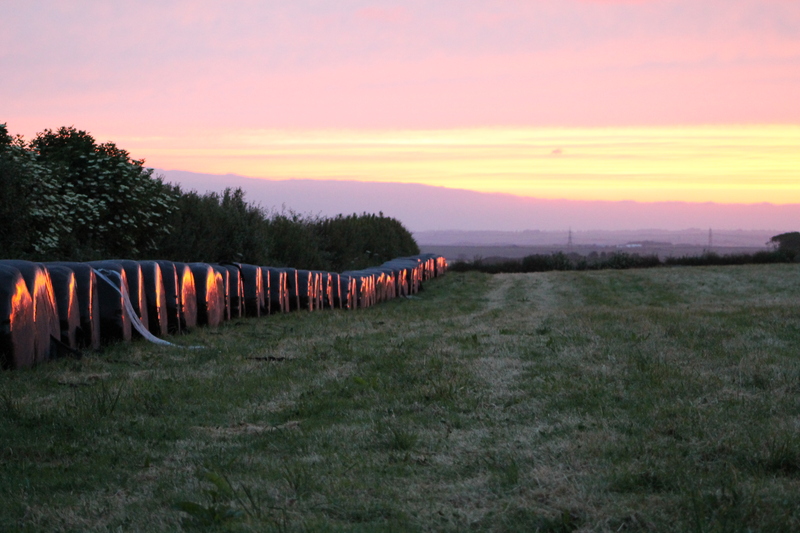 As we walked towards the stone circle field the pinky red pre sunrise light was catching this line of bales. Quite stunning! This entry was posted in associate artist, Mandy Rathbone, sound walk, soundscape, Victoria Pirie, visual. Bookmark the permalink.